KUALA LUMPUR: Malaysia's Felda Global Ventures Holdings Bhd (FGV) suspended its chief executive and chief financial officer on Tuesday while it investigates transactions at a subsidiary, sending its shares skidding as much as 13 percent. The world's third-largest palm plantation group has begun an internal probe after external auditor PricewaterhouseCoopers found "a few things that were not right" about dealings between FGV unit Delima Oil Products Sdn Bhd and Safitex, an Afghan company. Turmoil at FGV as well as the slide in the firm's share prices could have implications for Prime Minister Najib Razak. Its shareholders, many of them small landowners, form a key vote bank for Najib's ruling alliance in battleground states and he is expected to expected to call elections later this year. 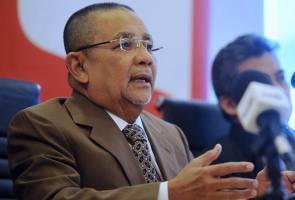 "We are doing the investigations, we give a chance to the team to do the investigations until we are satisfied," FGV Chairman Mohd Isa Abdul Samad told a news conference. Chief Executive Zakaria Arshad has denied wrongdoing and refused to resign, according to a letter seen by Reuters. A company spokesman told Reuters that Zakaria had extended a letter of credit for a transaction involving Delima and Safitex, a move the board felt was a breach of regular procedure. Zakaria did not respond to Reuters requests for comment. The management upheaval follows a storm of criticism in 2015 after FGV said it would buy a stake in Indonesian palm oil firm PT Eagle High Plantations - a deal critics saw as politically motivated and overpriced. FGV dropped the deal although it was later completed by another unit of the wider Felda group. Felda settlers, or land owners, are the majority voters in at least 54 of the 222 seats in the parliament. They own shares in FGV, which raised over $3 billion in a listing in 2012. FGV's shares ended the day down 6.4 percent at 1.62 ringgit. Since the listing, the stock has fallen some 70 percent to give the company a market value of just 5.9 billion ringgit ($1.4 billion). Felda, the biggest shareholder in FGV with a 34 percent stake, did not respond to requests for comment. FGV has told CEO Zakaria as well as CFO Ahmad Tifli Mohd Talha to take a leave of absence effective immediately, the company said. In a June 5 letter to Mohd Isa, seen by Reuters, Zakaria said he had been accused of wrongdoing in payments to the Afghan company, but denied the accusations. "The chairman has asked that I resign as president and FGV group chief executive due to accusations that I have violated corporate governance code," he said in the letter. "The payment process... was approved and implemented by the previous chief executive... I am not guilty of those accusations and will not resign as instructed." Speaking to the New Straits Times on Tuesday, Zakaria urged the Malaysian Anti-Corruption Commission to start an investigation, and threatened to take legal action if dismissed without just cause. Zakaria was appointed in April last year, replacing FGV's previous chief executive, who oversaw the failed deal to buy a stake in Eagle High. A board committee will take on the functions of the CEO in the interim, the company said. The CFO would be replaced by Aznur Kama Azmir, the group's financial controller for its plantation sector.